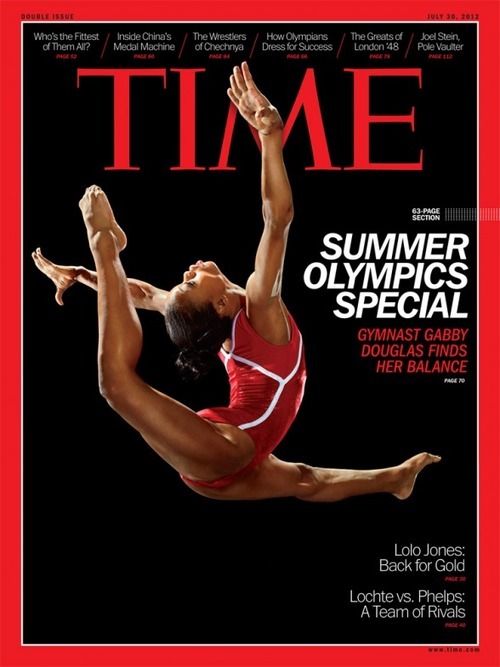 Gabrielle Douglas is a Time magazine cover girl. Gabby is one of five Olympic athletes that will appear on the cover of the newest edition of Time. Three USA athletes received separate covers; Swimmer Ryan Lochte, hurdler Lolo Jones and gymnast Gabrielle Douglas. British heptathlete Jessica Ennis and Japanese soccer star Homare Sawais also received covers.